Sometimes you just need a bigger gun. Thankfully, Warlord Games is here to help you out (if you force of choice is the British, at least this time around). 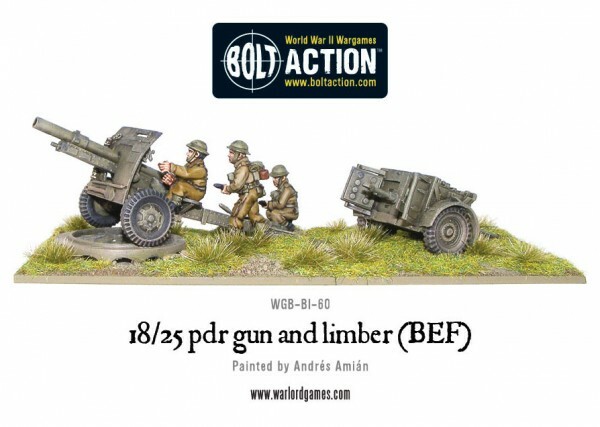 They have released their new 18/25pdr gun and limber for Bolt Action. Badaboom! This gun saw wide use in many different locations during the war. From Norway to India, you could find the British utilizing the 18/25pdr in both indirect fire and armor-piercing direct-fire modes.